Dr. Oscar Alleyne is Senior Advisor for Public Health Program at the National Association of County and City Health Officials providing leadership and senior level management of a portfolio covering the programmatic divisions of Infectious Disease and Informatics, Public Health Preparedness, Readiness, Resilience, Pandemic and Catastrophic Preparedness. 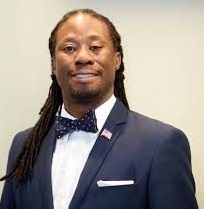 He oversees the national annual Preparedness Summit and the biannual Public Health Informatics Conference and represents NACCHO on a variety of external workgroups and committees. He serves as a high level liaison with federal or other policy makers and funders such as HHS/ASPR, CDC, DHS, EPA, FDA, and foundations and corporate partners, being tasked to stay current with and represent national policy issues that have the potential to have an impact on local health departments and NACCHO. Alleyne began his career in governmental public health designing software used as an expert system in guiding responses to adverse water quality events for the New York State Health Department. He joined Rockland County Health Department, New York at the beginning of the West Nile Virus outbreak where he developed a model comprehensive educational and surveillance program. In his 15 years at Rockland County, Alleyne served as Director of Epidemiology and Public Health Planning responding to and mitigating several major emerging health issues including West Nile, Anthrax, Smallpox, Monkey Pox, H1N1, Botulism, MERS CoV, Ebola etc. He also has experience as a Planning Section Chief for the Disaster Medical Assistance Team (NY4) under the federal National Disaster Medical System. He is a subject matter expert on a number of national boards and workgroups on Biosurveillance, Informatics, Epidemiology, Policy and Public Health. In addition, Alleyne is also the Past President of the Board of Directors of the New York State Public Health Association, the President of the Alpha Gamma Chapter of the Delta Omega Honorary Society in Public Health and the Chair of the Epidemiology Section of the American Public Health Association. He holds a Doctorate in Public Health from the New York Medical College, School of Health Sciences and Practice and is a graduate of the University at Albany, School of Public Health.